This is a church for people who are authentic and transparent; a place for real people and families who face life's real challenges. We provide opportunities for supportive and encouraging friendships to begin and grow. We instinctively know that authentic is better. Real sugar tastes better than artificial sweetener, an authentic Rolex watch is better than the $20 one you can get on the street corner in New York City and a real diamond is better than costume jewelry. In the same way, there’s something in us that knows that authentic relationships are better. Friendships where we can let our guard down and be real with one another are valuable and powerful. But, they can also be a little scary. Why? Why are authentic relationships so hard at times if we know they are so valuable? Part of it is because most of us know that there are things about us that aren’t all that pretty. There are ways that we have failed and parts of our character and personality that aren’t that attractive and, frankly, we would rather that others not see them. There is a vivid example of this in the beginning pages of the Bible. Genesis chapters 1 and 2 tell us how God made the world and prepared a perfect home for our first two ancestors. Adam and Eve were yielded to their maker and had nothing to hide from God or one another. The last verse of chapter 2 summarizes their perfect relationship when it says, “the man and his wife were both naked and were not ashamed.” (Genesis 2:25 ESV) Their outward openness was a picture of their inward innocence. There was nothing to hide because there was nothing to be ashamed of. Things changed quickly. Chapter 3 of Genesis tells how both Adam and Eve abandoned their yieldedness to God and disobeyed the one command He had given them. Their first instinct was to hide. They hid from God behind trees (v. 8) and they hid from one another behind fig leaves they had made into clothes (v. 7). They were experiencing shame they had never experienced because they had done something shameful. They could no longer openly and honestly present themselves to God or each other because they had failed. It was ugly and they knew it. The story of Genesis 3 has played out again and again in every generation since Adam and Eve. We know that we have done wrong and we hide. As a race we hide from God behind the trees of our own wisdom, self-reliance and busyness. Instead of using fig leaves, we hide from each other behind masks we carefully craft from what we do, achieve, or own. The root of all of our hiding goes back to our lack of yieldedness to God. We have all gone our own way instead of God’s way. We have trusted in ourselves rather than in God. The Bible’s word for this is sin. But, there is hope. There is help. There is a way for our tendency to hide to be overcome. There is a way to pursue and experience authentic relationships. There is a thread of hope that God sews into the dark fabric that our first ancestors created in Genesis 3. God replaced the clothes of fig leaves that Adam and Eve had made to hide their shame. Why would God do that? There’s a picture here. Adam and Eve couldn’t cover their shame. There’s nothing they could do to make right what they had done wrong. If their shame was going to be covered adequately, God had to do it. And, the clothes God made were not made from a fig plant but from an animal’s body. God covered their shame with the skin of an animal. For that skin to be used, the animal it belonged to had to die. An animal died so that Adam and Eve could be clothed. An innocent animal died so that the shame of a guilty Adam and a guilty Eve could be covered. That was God’s way. That is still God’s way. 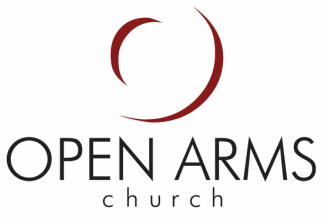 At Open Arms we have rallied around the truth that “Christ died for our sins” (1 Corinthians 15:3 ESV). Christ was perfect. We are not. All of us have sinned (Romans 3:23), but Jesus died for our sins. Those who believe that truth and put their faith in the Jesus of the cross are clothed with the forgiveness and goodness of Christ just as Adam and Eve were clothed with the skin of that innocent animal. Our shame is covered, our guilt is forgiven. It is forgiveness and the truth that “Christ died for our sins” that enables us to have authentic relationships. As we embrace the truth that the source of our shame is our sin against God and that Jesus has covered our shame once and for all by His death on the cross, we no longer have to hide from God. We are forgiven and can be real and open with Him. We can be open and real with one another now knowing that our shame is covered not by the fig leaves of our pretending or performing but by Christ.